When we learn a new language, we struggle to learn lots of new words and many grammar rules in that language. But in the end, most people find that understanding what others say to you (and not what you say) is actually the hardest part of learning a new language. Has this ever happened to you? You are nervous, but you finally get the courage to ask someone a question in your new language. The person understands you and answers your question! Great! BUT, when the person answers in the new language do you look like this? You have NO idea what the person is saying to you. Your listening comprehension of the language is so weak that you don’t understand when other people talk to you. When you are learning a new language it sounds like everyone is speaking very fast. With lots of listening practice your ears will get accustomed to the sounds of the English language. 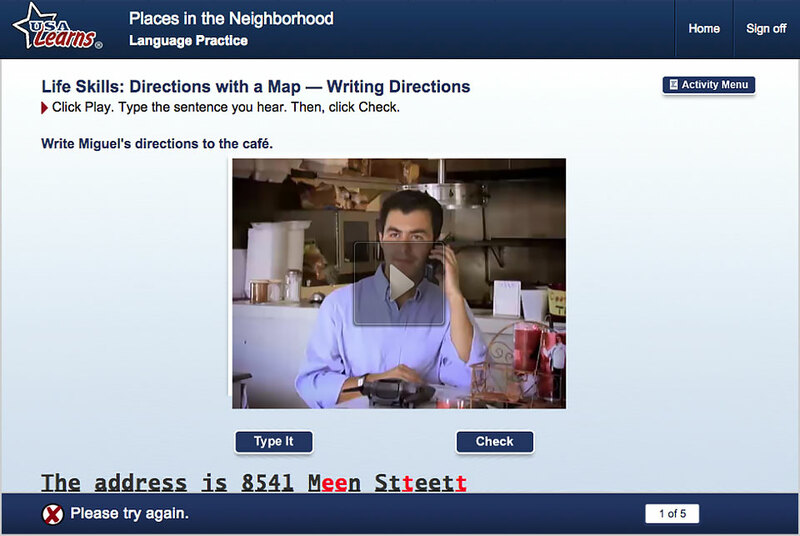 USA Learns offers listening practice in nearly every screen of the program. Sometimes you can understand everything your teacher or tutor says, but you can’t understand when you hear other people speak the language. It’s important to hear lots of different voices when you are learning the language. 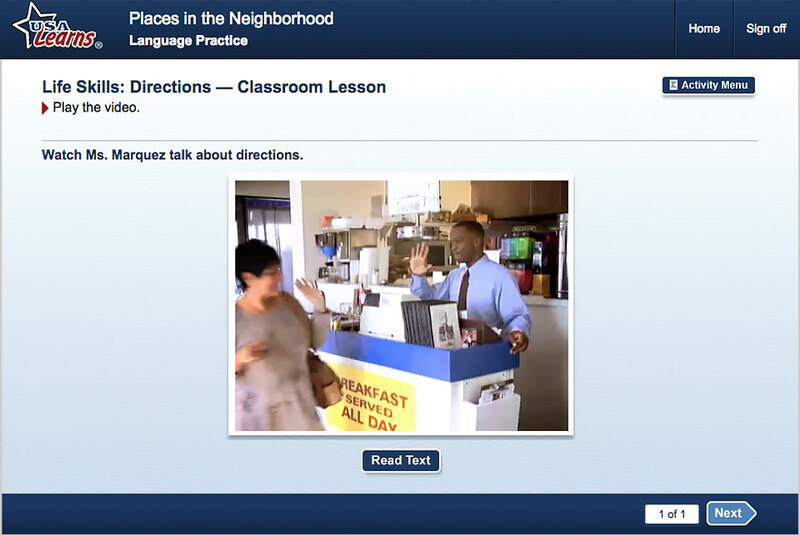 In USA Learns you will listen to many different characters speaking the English language in the video stories. Just like in our global society, there are men, women, children, and people of different ethnicities and with different accents. It’s like a little New York City in your computer! But with USA Learns you can practice your listening comprehension of the language in your living room without traveling to New York City. In USA Learns you will not just be listening to short conversations or a teacher giving long lessons. Our video stories have interesting and funny characters who have to make important decisions and adapt to life in the U.S. The interaction between the characters creates a lot of interesting language. In the 1st English Course you will feel like you are one of this group of friends learning English in a U.S. adult school. Listening is not enough. You can listen to the spoken language, but still not understand. 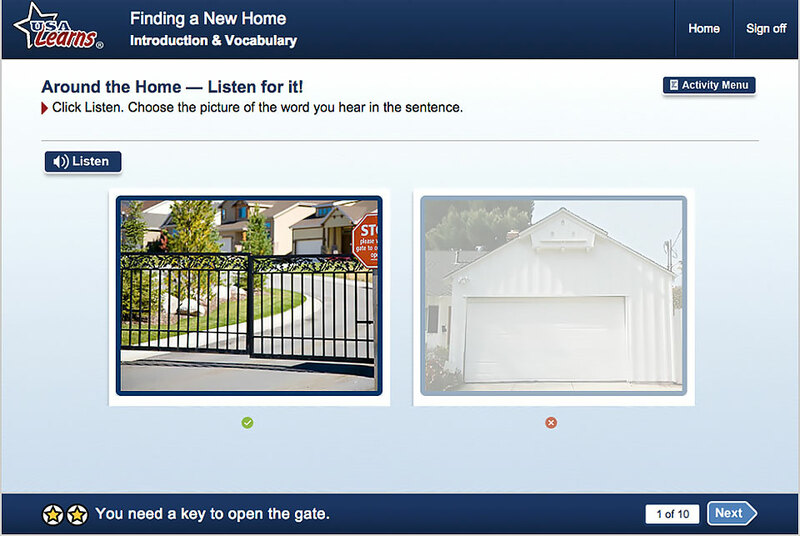 You will work on improving your comprehension in the USA Learns listening activities. Do all the pre-video activities in USA Learns. 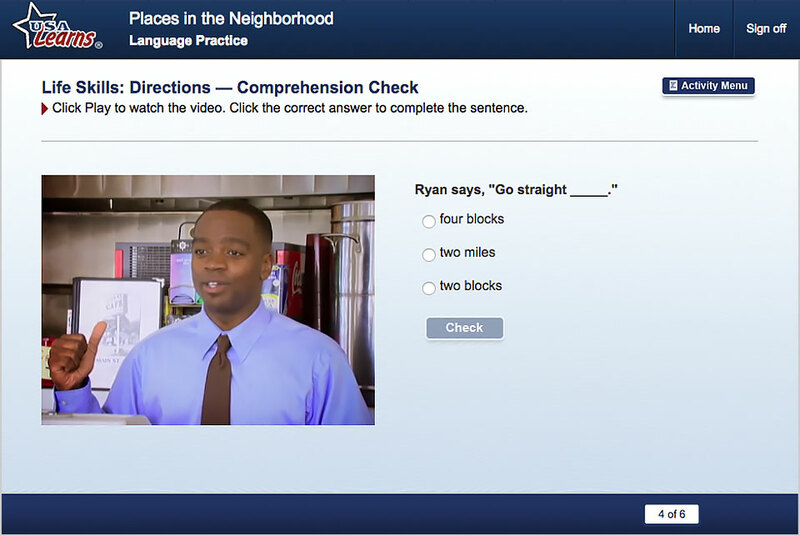 You will learn and practice key vocabulary and sentences before you view the videos. Don’t skip these activities. 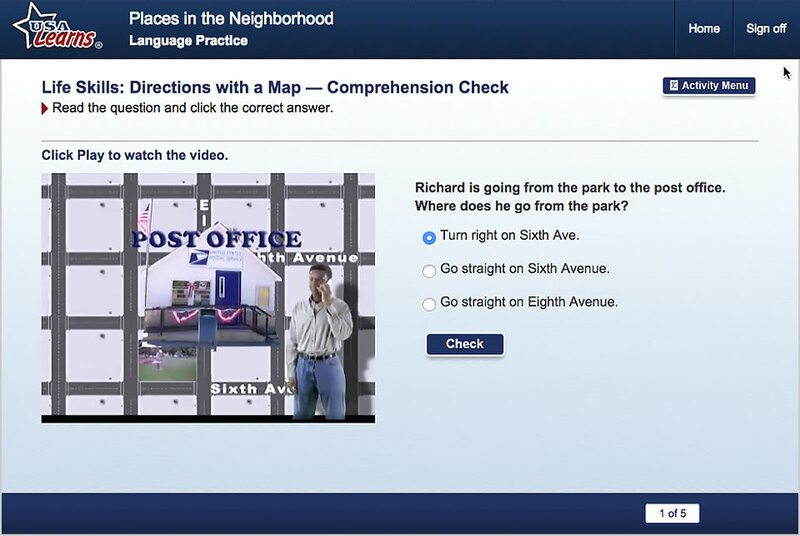 They are important building blocks to your comprehension of the language in the video. In Getting Ready activities you will hear and read a short summary of the video episode. This background information will help your comprehension of the video. The summary ends with a question about the video. Listen and watch for the answer to this question while you’re watching the video. Watch the video multiple times. Watching the video only once is not enough. It’s important to watch and to listen to the video two or three times. This will help your ears get accustomed to the different voices. Watch the characters’ faces and actions. Much of our communication is body language and it will help you understand the spoken language. Next, read the text while listening. Click the Read Text button below the video. The video script appears on the screen. Read through the script. Now click Play and listen while you read the words on the screen. Test yourself again and click Hide Text and listen to the video with no text. Better this time? Do the listening comprehension activities. The Comprehension Check activities will help you listen for specific information and words. Remember, play the video many times! 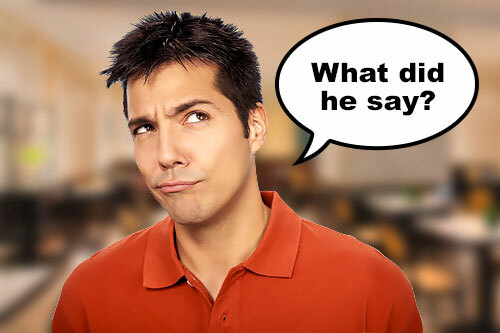 Listening to dictation is another way to check your comprehension of detailed language. Listen to the sentence and type what you hear. The program will correct what you type. Listening to a description of key vocabulary words is a good way to improve your comprehension. Listen to a short description and choose the correct picture of the word being described. Listening is an important part of our everyday life. There will not be text to read when someone is talking to you at a store or on the street. USA Learns has many listening activities that will help you understand important spoken language in your everyday life. At times we need to listen to directions, or prices, or information about what’s on the menu at a restaurant. You will practice listening to these types of situations on USA Learns to prepare yourself for real situations. When you ask for directions you must understand the answer! 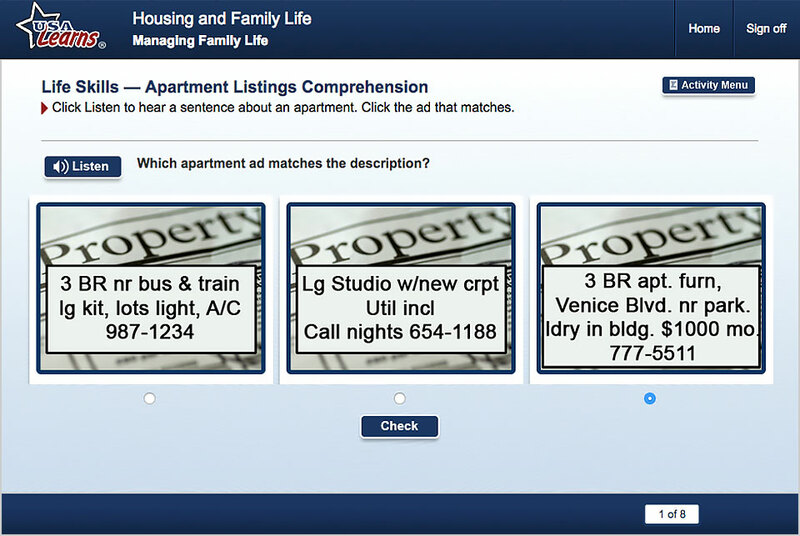 When you call about renting an apartment, do you understand what the person tells you? Maybe you would like to relax and listen to someone read you a story. 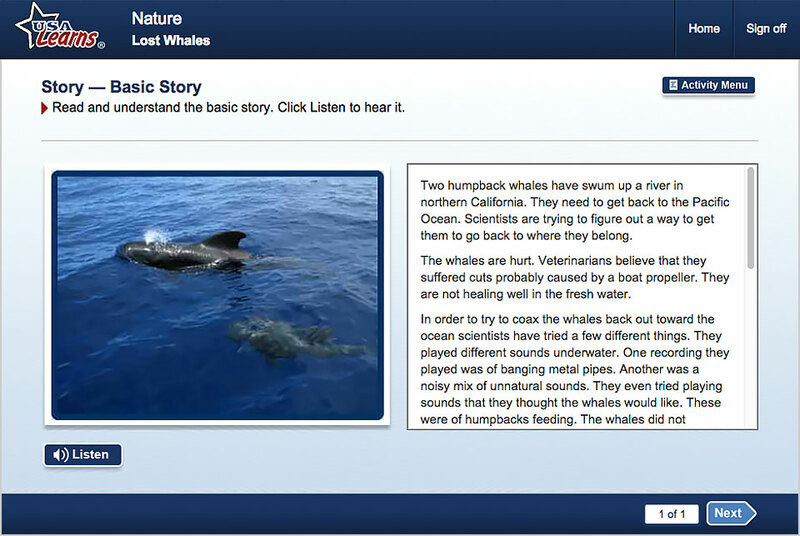 In USA Learns, all reading activities have a Listen button so you can hear a native speaker read the text. USA Learns knows that improving your listening comprehension of the language is extremely important to you. You will get your best listening practice on usalearns.org! REGISTER NOW to improve your English listening with USA Learns!